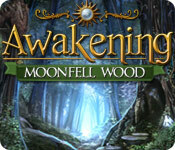 Awakening: Moonfell Wood is rated 4.5 out of 5 by 193. Rated 5 out of 5 by Lucylulu82 from Beautiful, magical game I really enjoyed the simplicity of this game, especially after tackling some pretty hard adventure games. I loved the illustrations and music. It has a nice, warm, magical feel to it and it's a pleasure to play. In terms of the storyline, you have to make your way to the witch, which keeps you pushing forward. There is some good adventure along the way. 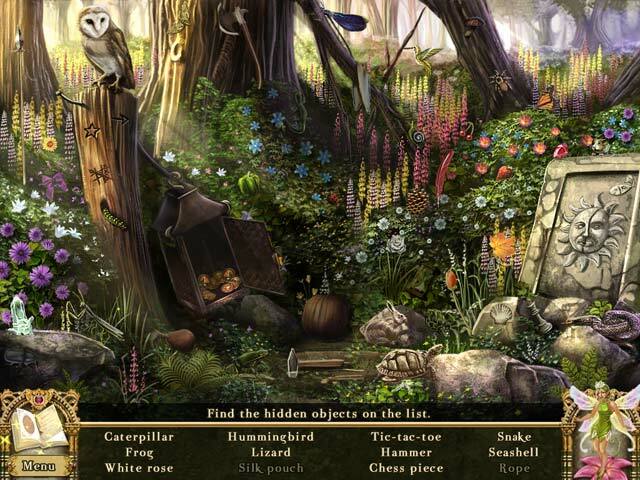 Lots of little puzzles and hidden objects to find. There's even a card game thrown in. There's not much voice acting, it's mostly script but I don't mind that. I'm not finding the puzzles too difficult. There's a lot of putting pieces back together. I've spent quite a lot of time on it today and haven't finished yet but I've not wanted to quit so I think that's a good sign of a good game. Rated 5 out of 5 by stuff4tt from Great Game!! Can't wait to get the next game in Awakening! Really enjoyed this game. 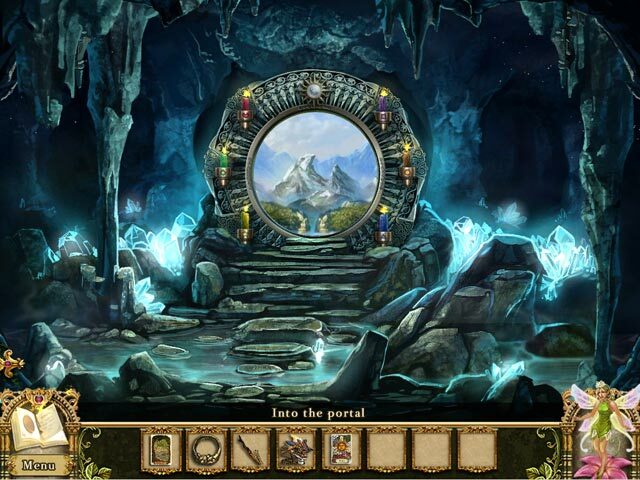 There are enough mini games, hidden object and tasks to do and they are a nice balance. Rated 5 out of 5 by smilingsun72 from Sophia's journey continues through the woods... Completed this game many times with the whole series. All I can say is this game series is worth having. It has a story that is captivating. Puzzles that so integrated into the game that they feel part of it. And all the scenes are hand drawn and beautiful. And it is long, which I love. Sophia has awakened after leaving the Dreamless castle without using magic because she was the first human to born without it. As she makes her way through the woods she completes tasks to meet the Faerie Queen and The Witch. She also learns more of the story of why her family and other humans left to settle somewhere else. So, with the help of goblins, the Faerie Queen, Mira and a pocket dragon Sophia makes her way through Moonfel woods to find the The Witch who helps her find her way to her next destination after this game....The Goblin Kingdom. Rated 5 out of 5 by Setsunachan from Must play HOPA This is the Second game in the Awakening series if going by release order. After playing and loving the first game I had to try the sequel and I was not disappointed. your journey continues right where Dreamless Castle left off so I recommend playing that one first to get the full experience. In this game you get the same engaging story line, relaxing music , and amazing graphics. The main change I noticed was that the puzzles got harder which for me was a welcome change. I think I almost considered using a hint in this game. The transition from the first game to the second is almost flawless. I have replayed this game multiple time and I feel as If each time I play it I cat little things here or there that I'd never caught before. Rated 5 out of 5 by FaithWhite from OMG!!! 5 stars in everything! I cannot praise this game and this series enough. From the first moment I started playing I was hooked and have played the entire series. AND the developers other games I thought they did such an awesome job. Even though I have played them all I still go back and play them again AND i am now coaching my little sister to play them herself as I thought she would enjoy the artwork and the story a lot. It's something we can do together. I am a huge fan of games with story lines. I feel like I have a purpose to playing and an eventual goal and this series did not disappoint! Sure it's a hidden object game BUT it also has mini puzzles within it that you need to solve which made it that much more appealing! PLEASE do yourself a favour and at least trial it...you will not only run out of trial time you will want to purchase it straight away. Guaranteed. LOVE! Rated 5 out of 5 by un1cornr0se from Fun and Fantasy all rolled into one! This title was by far my favourite in the Awakening series. I love fantasy based storylines and once again myself, my 10 yo, and 8 yo daughter completed this independently and we all thought it was fun and challenging. Lots of interesting puzzles and HOS. Took about 4.5 to complete playing casually so I found this to be good value for money. Rated 5 out of 5 by vodkapuppy from The best awakening game! 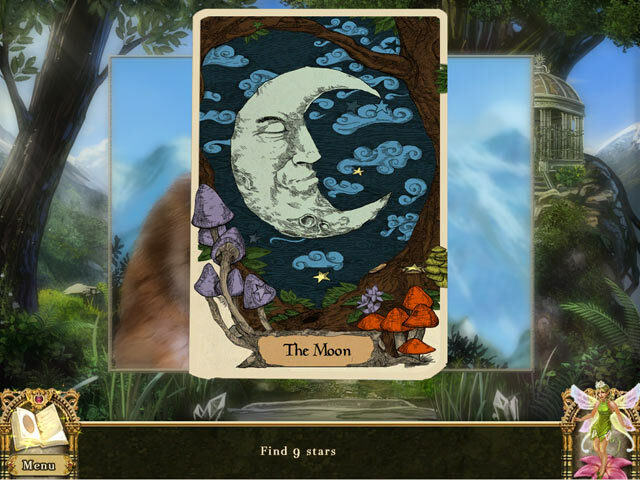 Moonfell wood has the most beautiful graphics I've ever seen, I've played this game multiple times(usually, I don't like to play a game more than once) I totally reccomend it! It's an amazing game! Rated 5 out of 5 by hermitcave from A nice followup to Dreamless Castle In this sequel, you pick up where Dreamless Castle leaves off and begin looking for your family and the rest of human kind. You enter Moonfell Wood, the domain of the Fairy Queen, with the help of a fairy guide. You seek help and information from the Fairy Queen but first must get to her. You meet various goblins along the way requiring your help with something before you can advance which often included finding certain items and doing some tasks. There is a goals list that is helpful in keeping on the right path. The find items on a list HOS are few but there are a lot of find so many of these type with some pretty good puzzles. There is a version of solitaire that you play also at frequent intervals. A pocket dragon assistant is found and travels with you providing ways to light candles, fires, etc. The graphics are excellent and the music not overpowering. There are nicely done voiceovers for cutscenes. Storyline was well done and it is hard to believe that the third in the series (Goblin King) was done by the same company. I played it first and was disappointed but the first 2 in the series have been excellent. I am presently playing the Skyward castle and have purchased the Sunhook Spire.